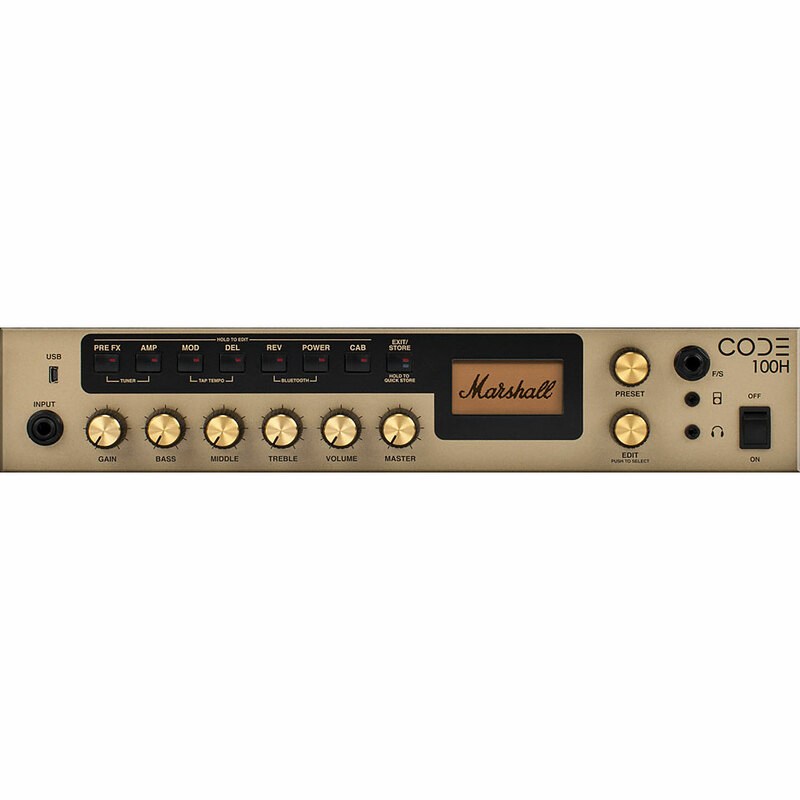 CODE ™ combines incredibly authentic modeling classic and modern Marshall sounds with professional effects. CODE ™ is fully programmable. 100 presets can be edited and saved. CODE ™ lets you choose between all your favorite sounds. 14 presets, 4 stages and 8 boxes provide you with 24 effects. These sounds have been developed in cooperation with the audio software pioneers of Softtube. The result is called Marshall Softube (MST) Modelling. 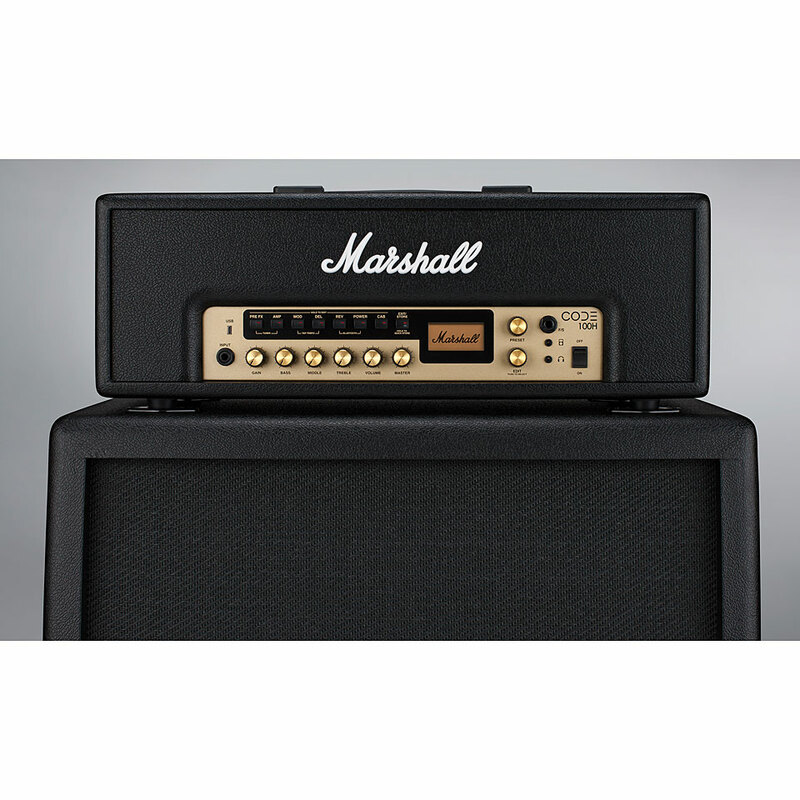 presets: JTM45 2245 1962 Bluesbreaker 1959SLP Plexi, JCM800 2203 JCM2555 Silver Jubilee, JCM2000 DSL100, JVM410H and more. Boxing: 1960, 1960V, 1960AX, 1936V, 1912, 1974X, and more. Effects: compressor, Distortions, auto wah, pitch shifter, chorus, phaser, flanger and tremolo. In addition, delays with Tap Tempo and reverbs in studio quality. 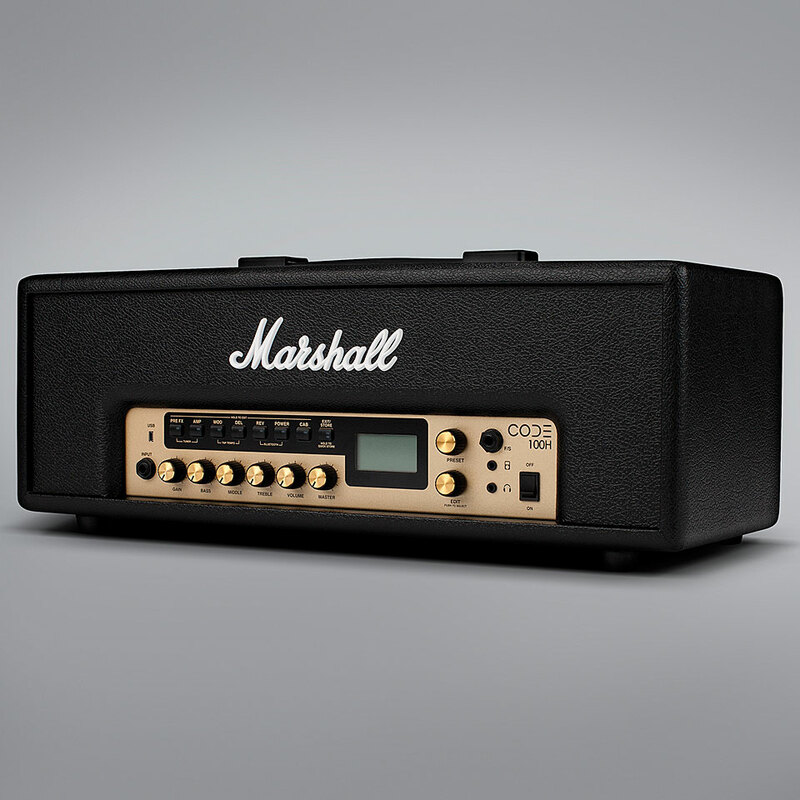 The new Marshall Gateway ™ App for iOS or Android also gives you the opportunity to control the amp via Bluetooth and share your presets with other users. Hear your songs on the CODE speakers or headphones and play along on your guitar. 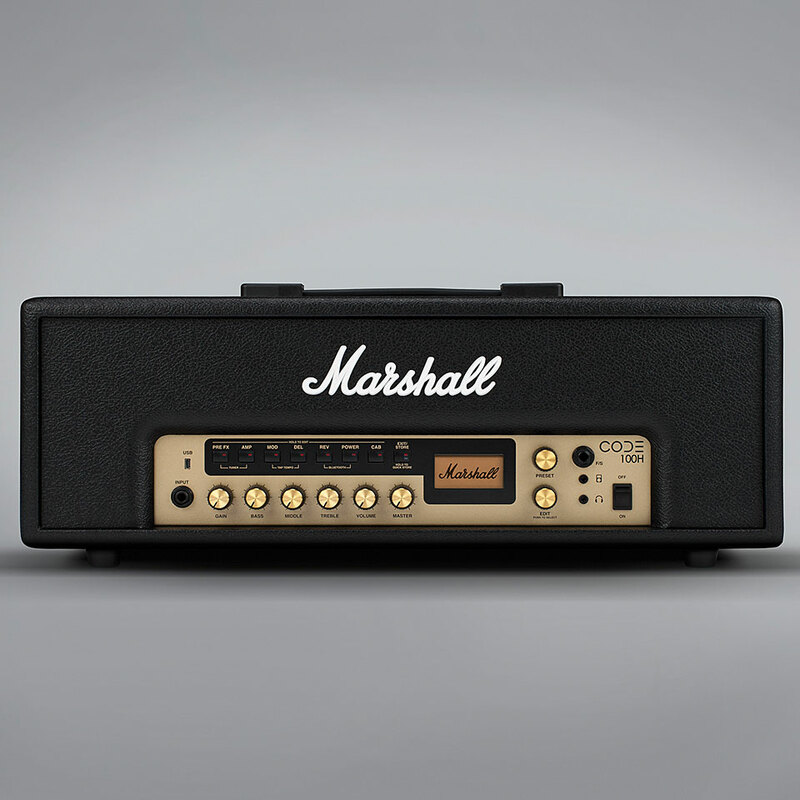 In cooperation with the Audio Sofware pioneers Softube, Marshall has developed a new generation of modeling amplifiers. 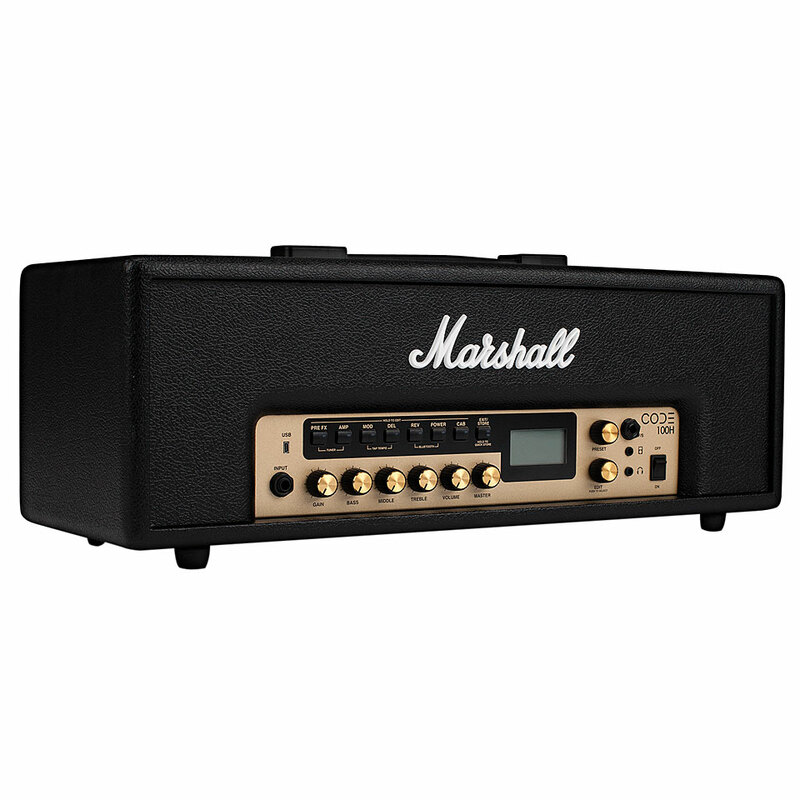 The Marshall code series combines authentic amp modelling of classic and modern Marshall amps with ample effect features.